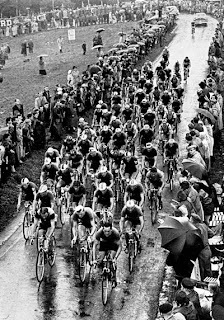 Bobbet, Coppi, Anquetil, Gimondi, et al. Hmmm, I wonder? 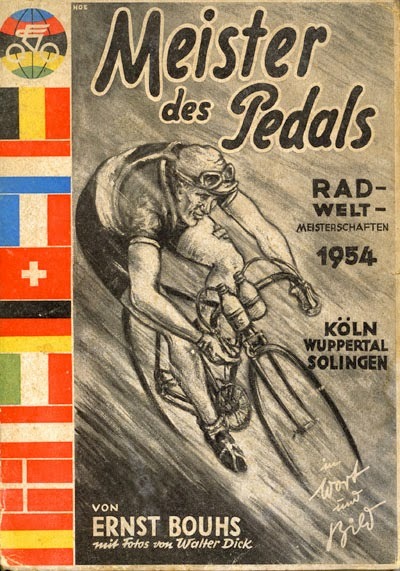 Whilst flicking through the pages of 'Cycling's Golden Age: Heroes of the Post War Era, 1946-1967, The Horton Collection, I Came across a small photograph of a 1954 World Championships pin. Three words immediately caught my eye: Köln-Wuppertal-Solingen.They are on my doorstep and, I would image, are linked by gloriously smooth traffic free - one can but hope - roads that I, or my domestiques, have ridden often, whether alone or with friends, such as the fine folk of Dusseldorf's Klassikerausfahrt. Would this not make for the perfect fare-yea-well for RSV Vababund '13 legend, 'The Historian' Herr Reissner as polite and litter-free Canada calls? Of course, the circuit nature of the parcours may well make all this rather academic! A usual I am putting pen to paper as I research. Cycling stream of consciousness if you like! Here's a taster of what's in strore from British Pathe. Just look at the who rode, gaze in wonder at the hundred's of thousands of fans... This really was the Golden Age. So where did the race go and what does the profile look like? A lucky stroke of the keyboard took me to an excellent piece by Juan Dominguez on his blog Malpaso: Mundial de Solingen, 1953. - La obra maestra de Luison Bobbet. Most of what follows has been borrowed from there. 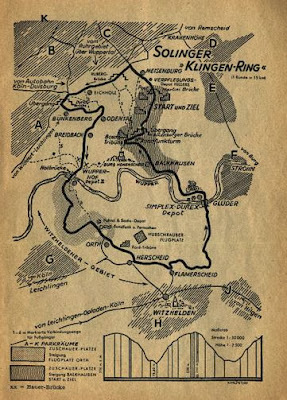 The circuit: The Solingen-Klingenring... total distance 240 km with about 5800 hm of ascent. Records show that 71 riders started with only 22 finishing in the rain soaked gloom. Despite the incessant three hundred thousand spectators lined a very slippery circuit. The race ignited on the final lap when Louison Bobbet punctured but, thanks to a very quick wheel change, was quickly able to rejoin the leading group. 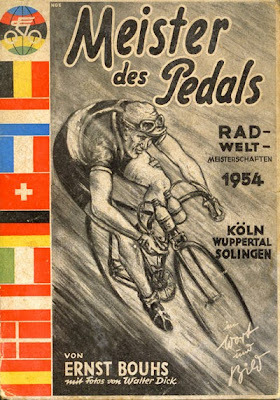 Bobbet then attacked with a couple of kilometers to go took the title by 12 s from Switzerland's sprint ace Fritz Schaer and by 3 min 9 s from Luxembourg's Charly Gaul. 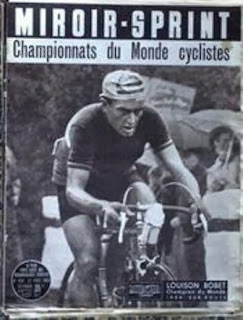 Fausto Coppi, the thirty-five year old defending champion, finished in 6th place at 3 min 20 s. Almost everyone I have spoken to about the race speaks of a frighteningly difficult circuit. At the bottom right of the picture above the Solingen-Klingenring profile is presented. 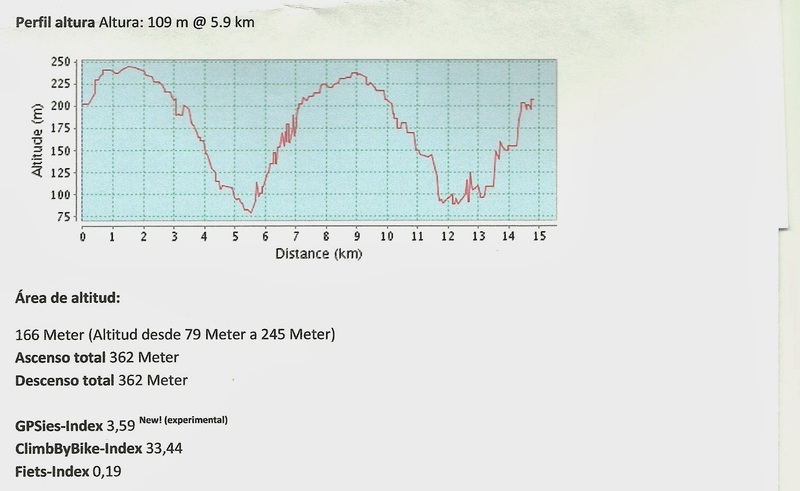 Juan has done a sterling job of clarifying this: The circuit was 15 km in length and had 362 m of ascent - and descent - on every lap. 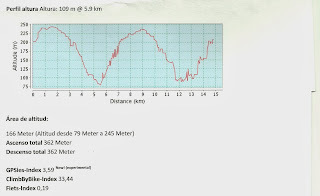 There were 16 laps in the race making a total ascent of 5 792 hm! Perhaps ten laps will suffice for us 'enthusiasts! 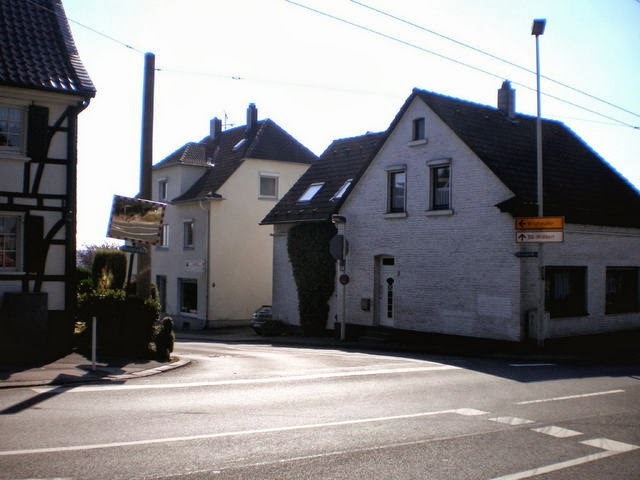 Our start point is the entrance to the Odenthaler Way ( L427 ). Turn of Solingen -Mitte, the Brühl and Vockerter road when entering the Höhscheid district, turn left and take the Odenthaler Way ( L427 ). 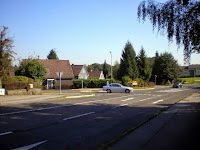 The junction of the Odenthaler Way takes you onto the Klingenring. 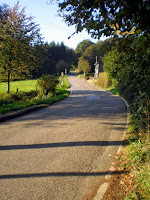 This leads to a 2.4 kilometers descent to Wupperhof, where you can 'put the hammer down'. 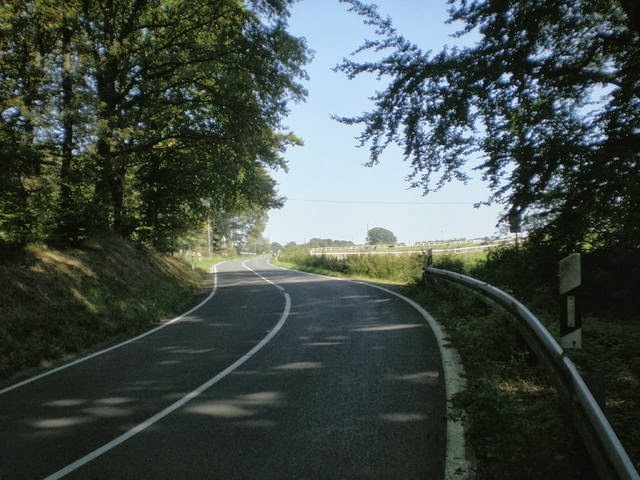 Beware: you will meet a sharp bend at 600 m, then after another 300 m there is a dangerous and hidden bottleneck: A farm including stables is jutting out into the road, and the oncoming traffic has right of way! The local advice is to slow down to walking speed - I'm told that many a racer finished here his daring descent embedded into the wall of the house so as not to rush head-on into oncoming traffic! Take Care! 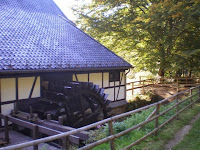 The first slopes of the Klingenring begin behind the Wupper River Bridge in Wupperhof. 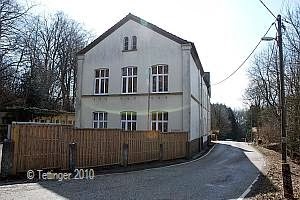 The start of the Klingenringes in Solingen-Wupperhof: the 1954 UCI World Road Race Circuit. Caution: ride well away from the curb as there is only a guard rail and not much space to maneuver. 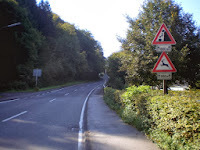 A popular road for local cyclists - and drivers! 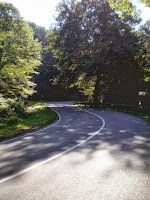 With a total of four turns and double-curves the forested route ascends. The gradient is moderate and fairly uniform. After 1.7 km, take the road from the forest. Exit the forest at the crest of the climb. Here you have the steepest slope with an average gradient of 7-8 %. The 1.5 km road now leads, with a few curves and steadily decreasing slope, over Wolfstall up to Herscheid where they join the L359; a relatively quiet road connecting Leichlingen following Witzhelden. Caution: On weekends, especially Sundays, expected to be joined by countless motorcyclists who are magically attracted to the former ADAC race and are often inexperienced or reckless. 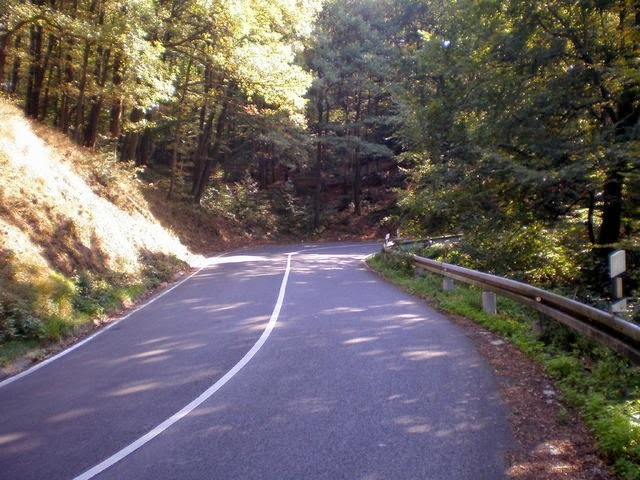 On other days it is a relatively quiet and pleasant ride. Continue along the route of the former 1954 road world championship course. 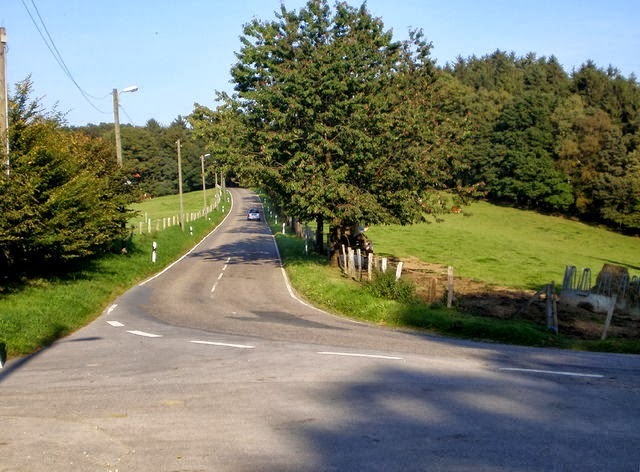 If you want to ride the old championship course completely, take a left at the restaurant on the Herscheid Herzbachtal junction. 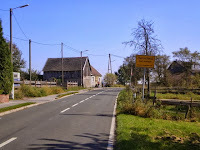 and continue onto the L359 in the direction Witzhelden. After 700 meters, just past the entrance to Witzhelden, the road goes left along the Glüderstraße and heads back to Solingen. 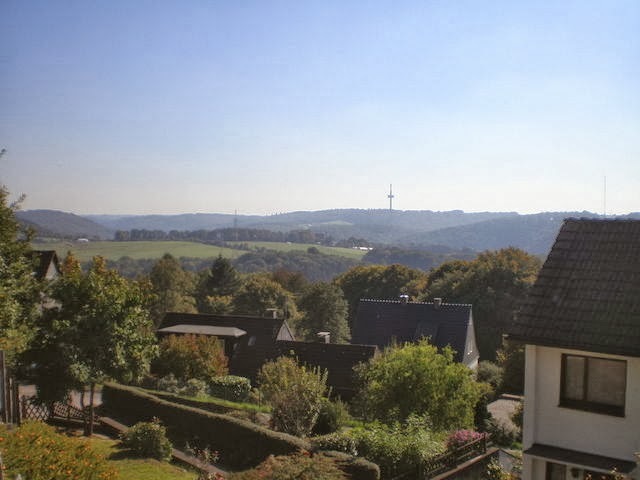 2 km of gentle curves bring you down into the valley of the Wupper. The road condition is not great and may prevent a very fast pace. After the Wupper river bridge in Glüder village the road is relatively flat and shady as it follows the Wupper River for about 1.5 km. 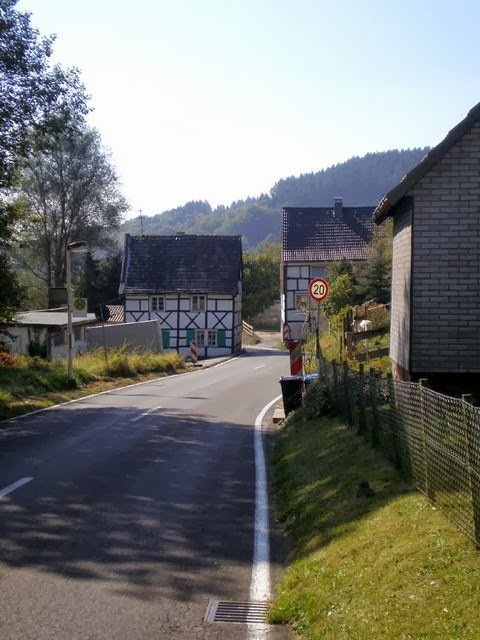 You will pass a campsite and the historic Balkhauser cotta. A beautiful half-timbered water wheel & grinding house and museum which celebrates the traditional cutlery industry in Solingen. After which the name of the course refers too: The Blade Ring. The street is now called Balkhauser way. Shortly before the half-timbered village of Balkhausen, the ascent from the valley begins. 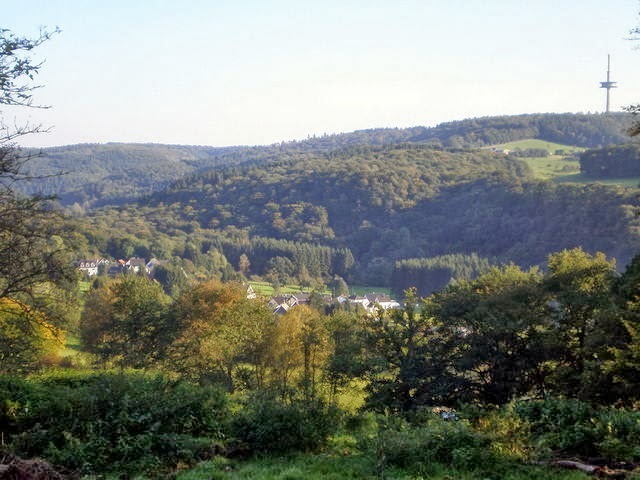 Behind the resort you reach the steepest part of the old world course with short gradients of about 13-14% over about 200 m.
After a sharp bend, and on your left, you will see the ruins of the modern Castle High Scheid sitting about 700 m from the road. Ride on through the bend and enjoy a beautiful view of the surroundings. The road now climbs a 4-6 % gradient for 1.2 km to the start of the Balkhauser path on the Pfaffenberger way. 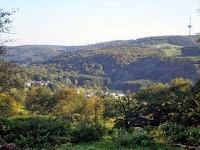 Moderate climb behind Burg Hohenscheid. Here you turn left and leave the scenic route of the World Cup course. Detour for 1954... 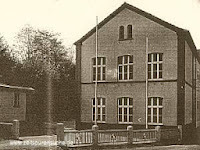 The old school in the neighboring hamlet of Hästen 1954 was the start and finish point of the 1954 road world championship. The rest of the route is along fairly busy roads and in an urban area. After 900 m, at the first traffic light, turn left onto Oak Street. Follow Oak Street for for about a kilometer until Unnersberger Avenue. At the next traffic light junction, after about 300 meters, stay in the left lane and then turn left onto the Vockerter road. After 200 m you are back at the starting point , the entrance to Odenthaler way. Well, that's the 1954 World Road Race Circuit described, mapped, GPX'd and installed! All I need to do now is design a route from Cologne or Dusseldorf and assemble the four RSV Vagabunds '13 and as many Klassikerausfahrt riders as possible. Can you name the riders pictured here? 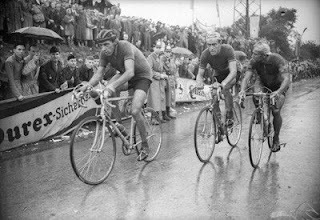 A plea for assistance: Should you have any information on the 1954 UCI World Road Race please get in touch. I'm sure the above needs fine tuning for accuracy.